For oil prices to rise, demand must increase. That’s the gist of a new article from Forbes’ contributor Jude Clemente. Strong demand from East Asia may be weakening, as China slows its crude stockpiling and import demand declines. Surging U.S. production, which has turned the U.S. into a net energy exporter, will keep prices low without a concomitant increase in global fossil fuel demand. That demand, as Clemente and others have noted, may be peaking soon. The IEA forecasts peak demand arriving after 2040, an outlook that is shared by BP, another peak demand prophet. Shell is even more pessimistic, predicting peak demand by the late 2020s, based on the growth of the electric car market and changing environmental and energy regulations. Shell, BP and Statoil see growing energy efficiency, the conversion to electric cars and the rising demand for natural gas as the chief reasons for falling demand, though they agree the need for oil won’t go away overnight. What all these companies have in common is a shift in investment attention and managerial focus towards natural gas and renewables, and away from conventional crude. The big American firms ExxonMobil and Chevron haven’t offered a prediction, denying that peak demand is in sight. But as the Wall Street Journal reported back in May, the U.S. firms are in the minority, as the other international energy firms brace for a decline in oil demand and shift their attentions to natural gas and renewables. With production from the United States set to increase in 2018 and 2019 and billions of barrels remaining in OPEC reserves, the question of peak oil supply, which was on everyone’s minds as little as five years ago, has been rendered irrelevant. Peak demand may not be peak oil, but it’s growing into an obsession in much the same way. What is fueling these predictions? Where is the demand going? The IEA has predicted demand will exceed 100 million bpd in 2019, rising to 104 million bpd by 2022. According to the US Department of Energy, demand in the OECD countries was kept down before 2006 due to high prices, and then remained stagnant or declined between 2006 and 2008, as the global economy contracted. Yet growth in demand since then has been sluggish, barely exceeding 1.8 percent. OECD demand is projected to stagnate or fall, as more electric vehicles are sold and increasing efficiency takes the place of increased demand. The real story is in non-OECD demand, particularly China. While OECD oil demand actually shrank between 2000 and 2010, non-OECD demand increased by 40 percent. With the industrial world largely motorized, it was the fantastic economic growth in the developing world that drove the expansion in demand. The IEA predicts non-OECD Asian demand will increase, from 23.7 million bpd in 2015 to 28.9 million bpd 2021, though this rate could be affected by government regulations designed to combat pollution. But now, that demand is slowing. Chinese crude imports have been high since 2016, largely out of the government’s desire to fill its strategic petroleum reserve. 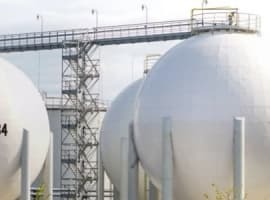 With storage tanks reaching capacity, its likely Chinese imports will begin to slow, from 1 million bpd to 700,000 bpd in the second half of this year. Skeptics of peak oil demand point to higher-than-ever demand for gasoline, which has surpassed seasonal demand records in the United States. Increasing EV sales in California, for instance, has done nothing to dull that states gasoline consumption, which has climbed by 6 percent since 2013. The amount of gasoline consumed in the United States in 2016, about 9.33 million bpd, was the highest level on record. So it’s possible that prices could spike before demand maxes out. Then again, predictions of peak oil in the early 2000s were blown away by the shale revolution, which has brought about 5 million bpd of new production on-line. Increasing prices may not presage a demand boom. Rather, prices may surge when the falling rate of reserve replacement is caught by the increasing rate of demand. While demand grows, its growth might be slower than it has been in the past, particularly if slower growth in the developing world, greater fuel efficiency, environmental regulation (particularly measures designed to reduce pollution and smog in urban areas) and electric vehicles come into play. 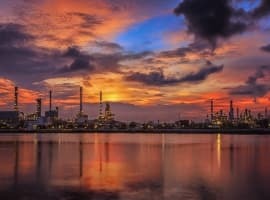 Discussions of peak demand may have replaced the old debates about “peak oil.” Though the consensus may be growing among industry observers and major energy companies that peak demand is just around the corner, the factors at play make predicting precisely when it happens exceedingly difficult. It’s likely that oil demand will continue to grow for a good long while before IEA, Shell and Goldman predictions prove true. Skeptics point gasoline demand growth because this is a distraction from decline in diesel. Global diesel consumption may well have peaked in 2015. It fell in 2016, and China led the way. Is anyone confident that diesel will hit a new peak in 2017? Let's hear from the skeptics why they think diesel demand will reach new heights in coming years. Electric trucking is coming, and diesel prices are in excess of $5/gal in many European countries. Also major European cities are looking to ban diesel. Europe is ripe for BEV trucks to disrupt diesel demand. Everybody ignores diesel demand, but it will peak before crude peaks and years before gasoline peaks. It's the black swan that will catch the oil industry by surprise.